What Happens During a Plumbing Inspection? 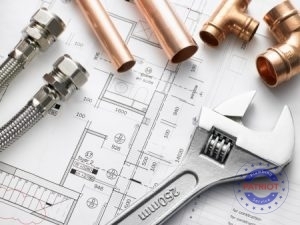 Plumbing Inspections are Essential During New Construction and Remodeling Projects! Why schedule an annual inspection for plumbing? This is a question homeowners consistently ask, and it’s a fair one. Why should we arrange inspections on a regular basis? You’ll hear vague answers about preventative maintenance, but let’s break down the matter into greater detail! Today, we’ll look into the steps involved in a plumbing inspection, when checkups are mandatory, and how you can best utilize your inspection to plan ahead! By the end, you’ll have a deeper appreciation for these insightful services and understand the benefits of consistent plumbing inspections. Let’s dive in! Many homeowners don’t quite understand what a plumbing inspection truly is. “Help! My water heater isn’t working properly. Come and inspect it!” is not how they are intended to work. Inspections are designed to provide you with a complete picture of your plumbing system’s health, immediate needs, and future projects. They aren’t a reactionary tool to help homeowners deal with an impending crisis. So what happens during a plumbing inspection? Think of all the areas water flows in and out of your home. These are the areas that a professional assessment should cover. That includes your piping, sinks, faucets, toilets, and other appliances. Even your water lines should be covered. While your water heater and toilets will receive special attention, an experienced plumber looks to examine the complete health of your system. That means testing for proper water pressure. After all, too much pressure can damage your plumbing, and too little can leave your home with dysfunctional water appliances. Once the check-up is complete, your plumber should provide you with a plumbing inspection report. Hold onto this! Highlight important notes your plumber has made. If your professional points out impending part replacements, make a note on your calendar so you aren’t surprised later on. Exposed plumbing issues can be dealt with quickly. They provide cost-effective peace of mind. 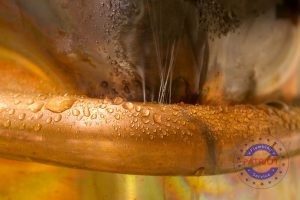 Inspections prevent a high percentage of plumbing emergencies. They enable homeowners to plan ahead for replacements. You’d Be Amazed at the Hard to Spot Problems a Thorough Inspections Can Expose. There are few instances when plumbing inspections are mandatory, but the largest exceptions are construction and home updates. If you decide to take on a bathroom remodel (for instance), you’ll have to schedule at least two assessments, including a rough-in inspection of the new piping and a final checkup before connecting your appliances. While it isn’t mandatory per se, scheduling a plumbing inspection for a home you are interested in buying is just common sense. If your professional finds and documents damage to the property’s plumbing system, you can negotiate the cost of repairs out of the asking price. All you’ll need is the report from your certified plumber. Prices vary when it comes to home inspections, but you’ll find that most fall within $100-$165. Be sure to ask what’s included in your professional inspection. Some plumbing companies include inspections with their maintenance service, so it might be worth signing up for an annual or semi-annual maintenance agreement. How much is a sewer line inspection? These specialized assessments include specialized camera equipment that runs into your sewer line. If you’ve spotted pooling water in the yard, a camera inspection is much more palatable than trenching through the yard. This will cost you (on average) between $300-$400. How Long Does a Plumbing Inspection Take? While the time required will vary based on the house size and the number of discovered malfunctions, it’s best to set aside up to two hours when you schedule an inspection. There’s always the chance that your plumber’s previous job will run long and delay the starting time. If the plumber finishes in 15 minutes, and dashes off to their next appointment, they likely rushed the job (unless you have a very small plumbing system). When you call to schedule your appointment, ask how long the inspection usually takes. This may sound like a joke, but it’s very serious if you want to truly get the most out of your investment. Start by asking for a copy of the plumbing inspection checklist. If you’re getting a rough-in or final inspection on a construction job or remodel, you can do a little online research so you can make final adjustments before inspection day. Failing a checkup can mean unpleasant delays in your project. Grab a piece of paper before your plumber arrives so that you can write down any important notes. Pay special attention to any appliances or parts that they say will soon need replacement. If you feel comfortable with ask, you can even ask how much expected lifetime on key appliances (like your water heater). This way, you can start planning ahead on what models you’d like and how much you’ll need to save. Don’t forget to get a copy of that plumbing inspection report! Schedule Your Plumbing Inspection Today! Need to arrange a checkup or plumbing repair service for your home? Talk with a member of our courteous staff at Patriot Plumbing Service! We’d be happy to provide you with additional information about plumbing inspections and what you can expect from us. Give us a call today at 254-246-7913. Posted in Uncategorized on December 17, 2018 at 1:58 pm by Patriot Plumbing.